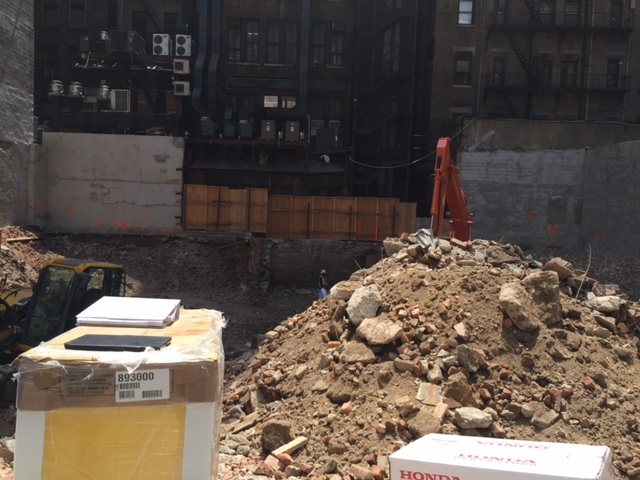 Back in early September, in the midst of the Great Filing Frenzy of 2014, permits went up for a new residential tower spanning 38-46 West 33rd Street, just southeast of Herald Square. 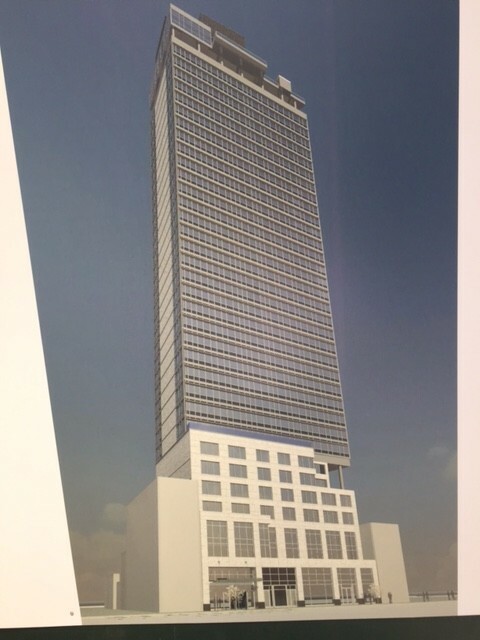 Now YIMBY has the reveal for the 36-story building, which has seen a slight height increase from 385 to 405 feet, thanks to a watchful tipster. Permits have seen slight modifications since the project was first filed; it will hold 160,029 square feet of residential space, split between 198 units, and the building will also have 5,872 square feet of ground-floor retail space. Apartments will start on the fourth floor, with the number per level varying from five to seven, until the uppermost 34th floor, which will have only four units. The 35th and 36th floors will hold mechanicals as well as several amenity spaces, presumably indicating the tower will feature extensive outdoor areas up top. 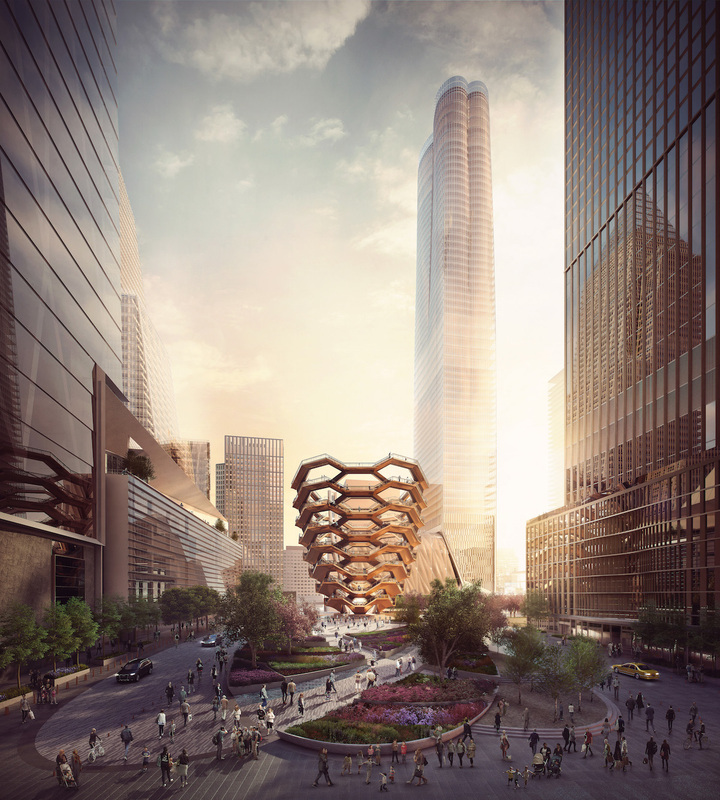 The Stephen B. Jacobs Group is designing the project, and the design will be fairly straightforward; unlike most of the neighborhood’s new construction, it appears that the first few floors of 38 West 33rd Street will be flush with the existing street-wall, enhancing the block’s urbanity. Above the seventh floor, the bulk of the building shrinks backwards, and continues rising in a format that’s very simple, and very glassy. At the very top, the roof looks to have some interesting design features, though the on-site rendering doesn’t give good insight into what exactly those are. Units will average just over 800 square feet apiece, and while that could mean the building will have condos, it could also be rentals. The area is quickly undergoing a rebirth as the boundaries of “Nomad” seem to keep shifting northwards, but 30th Street seems to be the current demarcation line between the trendy Midtown South neighborhood (where condos now abound), and the more tourist-friendly areas immediately to the north. Given the location, that means rentals are probably more likely than condos, although YIMBY was unable to confirm the mix with developer ABH Realty Corp. The bulk of the site is made up of two pre-war buildings that have been converted into an odd, mixed-floor-height parking structure, at No. 38-46. For this parcel, ABH paid $30 million in 2007, or a bit over $300 per developable square foot. 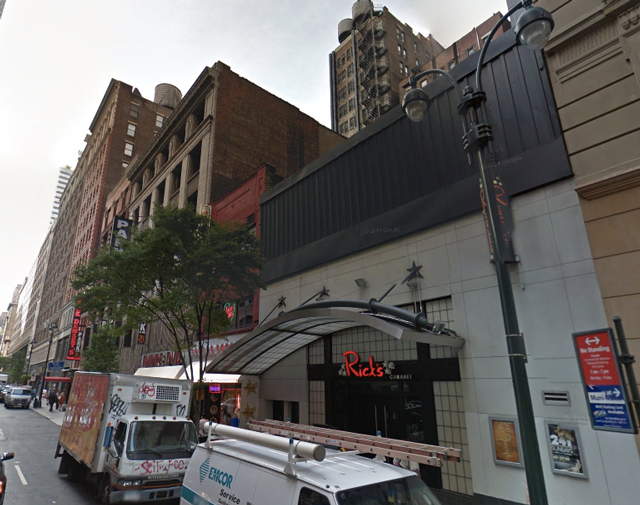 The air rights above Rick’s Cabaret set the developer back $13.2 million, plus another $1.65 million for the rights above the storefront next door (the two less-than-boutique retail tenants also hinting at rentals), bringing the average price paid for all of the air rights down below $260 a foot. No completion date has been confirmed, but excavation is now underway and permits have been approved, so late 2016-early 2017 would not be an unreasonable guess.